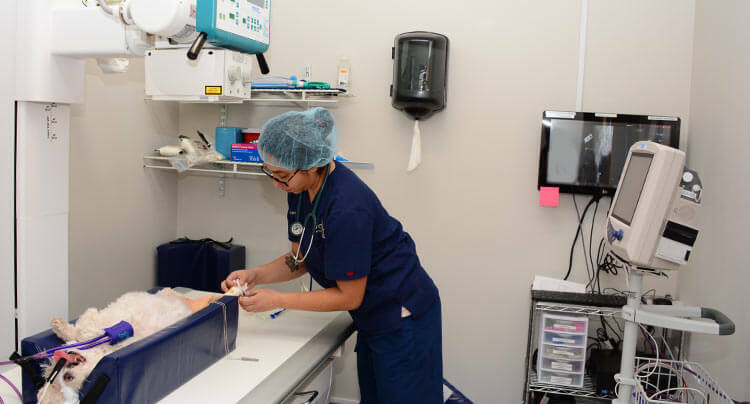 Digital radiology, or digital x-ray, is a common imaging tool we use to examine your dog or cat’s organs along with their cardiopulmonary, gastrointestinal, reproductive, and urinary systems. There are a number of benefits to digital radiology compared to traditional film x-rays. Digital x-rays have a higher image quality than film x-rays, making it much easier to view and interpret. These images are instantly available to our veterinarians, which means less time away from your pet and a faster, more accurate diagnosis. At West Hills Animal Hospital & Emergency Center, we use digital radiology to find foreign objects and materials within the body that may have been ingested; diagnose fractures, bone and joint abnormalities, and other injuries; screen for abnormalities in the heart, lungs, urinary, and digestive organs; and screen for certain forms of cancer.